Georgia's Home Inspirations: Vintage Spooners, Sugar Bowls and Celery Vases! At Georgia's we are drawn to vintage glassware; crystal, depression glass, cut glass - we love it all! Spooners (spoon holders), my passion, harken back to Victorian society where they were considered a sign of hospitality and a way for the growing middle class to display silver spoons which they previously could not afford. During the Great Depression, "depression" glass, both practical and decorative, was frequently a giveaway with purchase or sold at the local five-and-dime. This translucent glassware was often produced in colors meant to brighten and cheer. 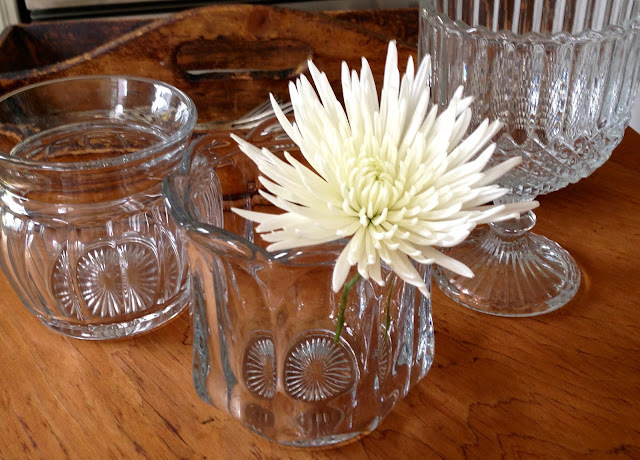 Three of our favorite pieces, spooners, sugar bowls and celery vases, are so utilitarian. Intended for use as their names suggest, these items can be used interchangeably and repurposed to hold napkins, breadsticks, cocktail nuts, toothbrushes and so much more. But just now, we love them filled with flowers. Take a look! 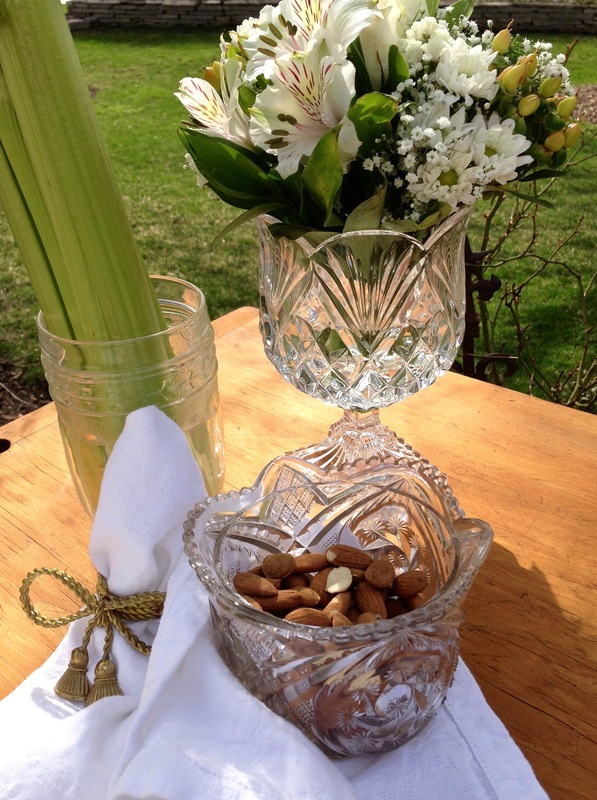 A celery vase is the perfect vessel for long stemmed daffodils. 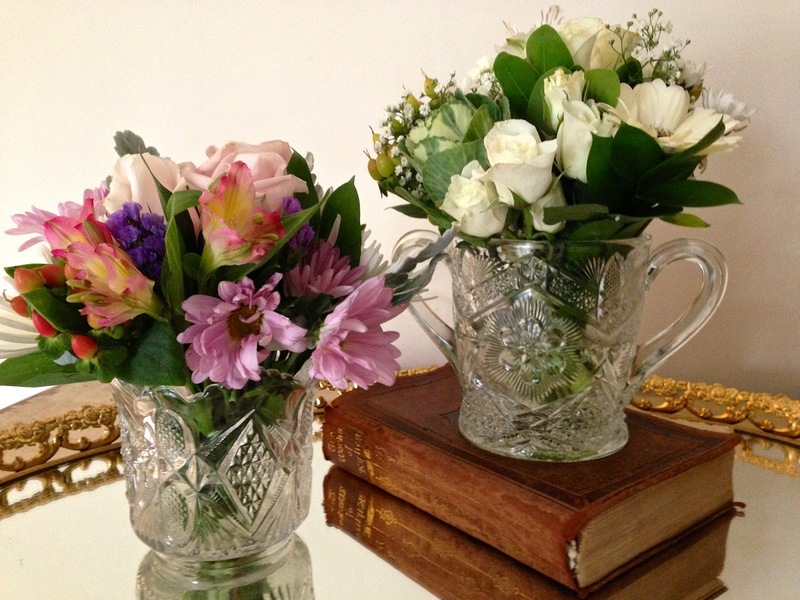 A cut glass spooner and sugar bowl complement sweet bouquets. Pick early blooms from the garden, cut to desired length and bundle! Repurposed or used as intended, these pieces are so pretty. 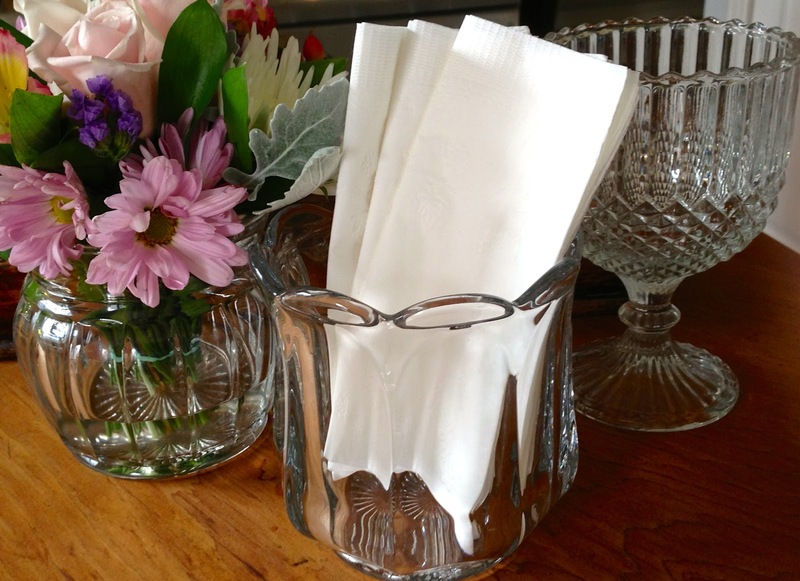 While this glassware is highly collectible and there are serious, knowledgeable collectors out there, we recommend that you pick up whatever you find attractive and useful. All of the glassware pictured above is available at Georgia's! 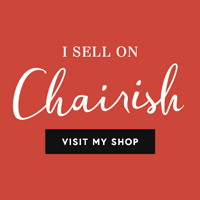 If you see something you like, contact us for pricing information.